1. Mark your calendars now! 2. Join us as your personal schedule allows! More details on each month's activity will be published with a sign up sheet ahead of time. People often ask us how they can make donations to St. Vladimir’s other than by making a donation at church. We work continuously to make this as easy for our parish family and friends as we can and we appreciate your feedback in this regard. If you would prefer to make a recurring gift by making an electronic transfer from your bank to ours, you will need some or all of the information below. 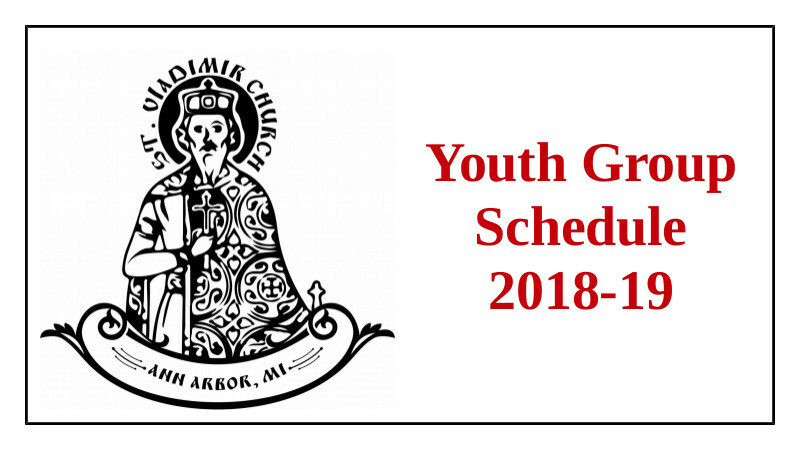 If you need more information than what is found here, please email us at treasurer@stvladimiraami.org. We welcome and encourage you to remember the parish in your will or in other estate planning. 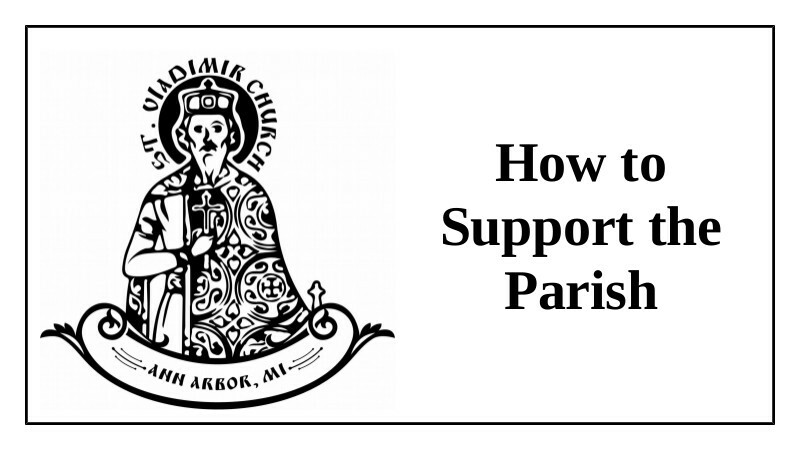 Thank you for your support of our parish! 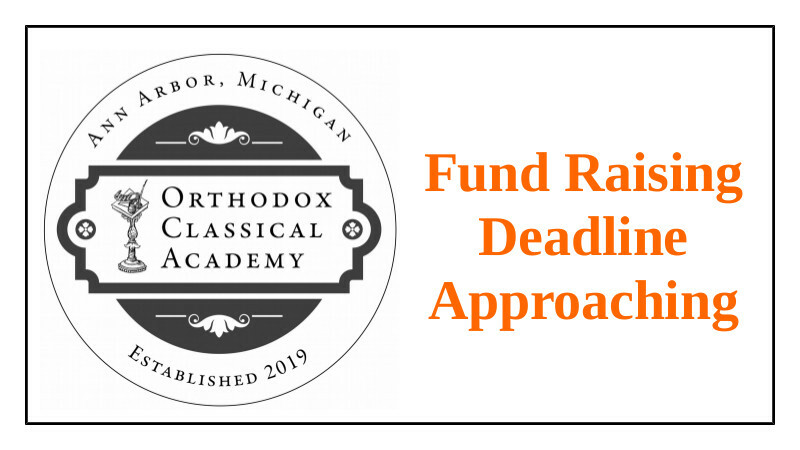 TIME SENSITIVE: Support Ann Arbor Orthodox Classical Academy! The deadline to reach our fund raising goal is 11:59 p.m. on September 23, 2018. Give now to help us reach our goal! Our goal is $1200/month of pledges for 5 years. If we reach our goal we build this year and start instruction in 2019. Right now, between private pledges and pledges at the site below we have $490/month. That is not bad! Over 33% with 3.5 days to go. But we need you - NOW. Time is running out - join us now by making a small pledge and - perhaps even more importantly - engage your friends to do the same! Help us Reach our Parish School Goal - LAST WEEK TO GIVE! Thank you to everyone who participated in our parish extraordinary meeting on Sunday, August 26! At this meeting we decided how we would move forward with the building of our parish school: by September 23, 2018 we will need to have $1200/month in pledges set for five years OR $70,000 in our Parish School bank account. So we have lots of work to do! Please help! This is a time sensitive situation – if we push further out than September 23 it is virtually certain that we will miss this year’s construction season, and that will make it impossible to begin instruction in 2019. 2. Talk to your friends. We can easily reach that $1200/month if we all chip in just a little! 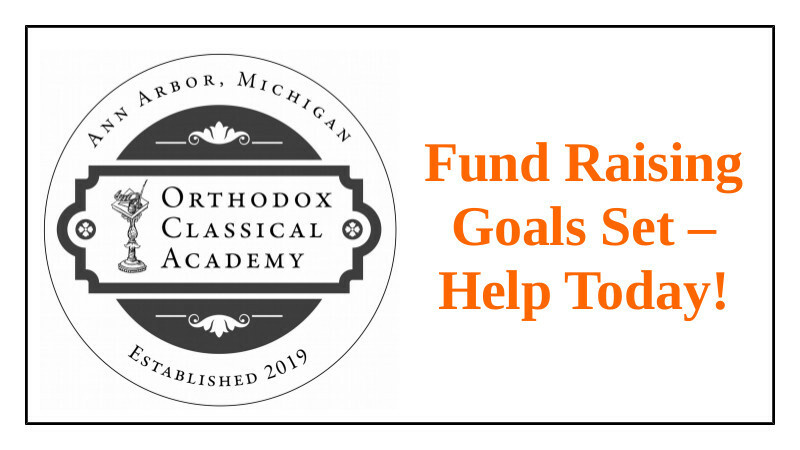 And if we add like-minded friends and loved ones who support Orthodox Christian education we can far surpass that goal! 3. 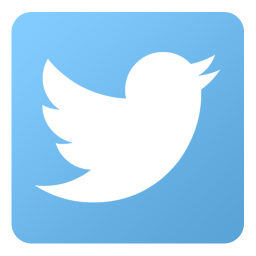 Ask questions! 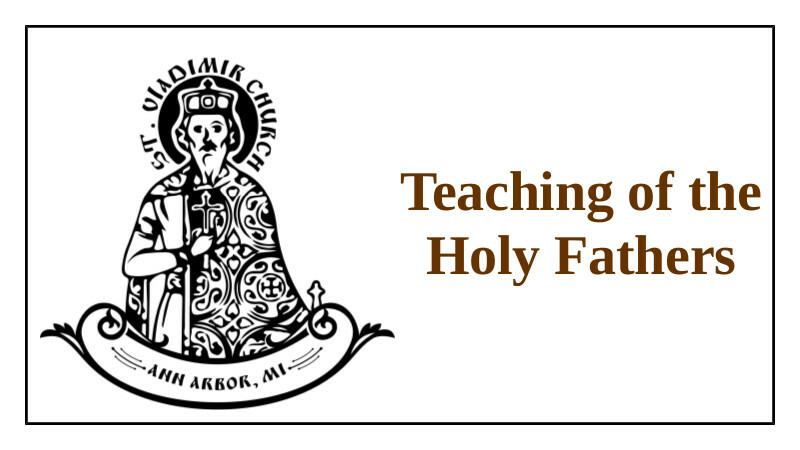 Would you like to learn more about the Ann Arbor Orthodox Christian Academy? Send an email to Fr. Gregory, call him, or see him in church. He or any member of the School Steering Committee can answer your questions. 4. Volunteer! Join the School Steering Committee! We need lots of hands to help with this pleasant and much needed work. This is a great challenge for our parish family, but a completely attainable one if we all pitch in and help just a bit. Please join our school team and help us surpass our goal! This year we had a GREAT FESTIVAL! And that is because of YOU! THANK YOU!!! 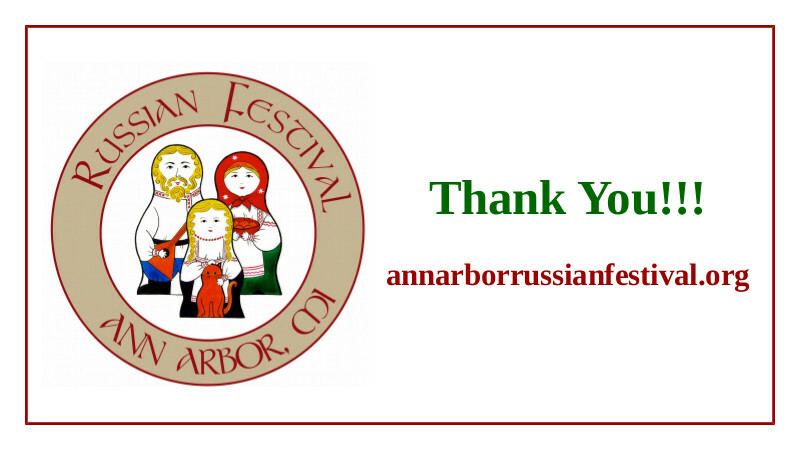 Want to make sure the Ann Arbor Russian Festival stays financially strong, ensuring we can hold this event each year? Make a small donation below – every little bit helps! Shared Calendar of Services & Activities Available! 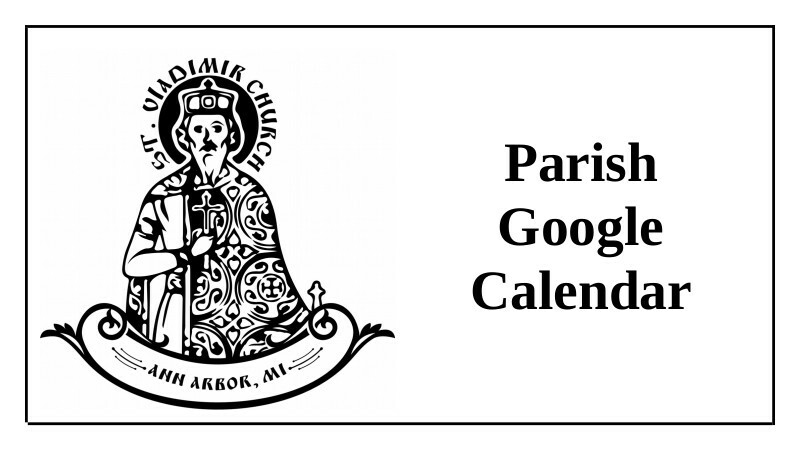 St. Vladimir’s Shared Calendar is Available! 2. Next to "Other calendars" on the left, click the down arrow. 3. Select Add by URL. 5. Click Add Calendar. The calendar will appear on the left side under "Other calendars." Note: It might take up to 12 hours for changes to show in your Google Calendar. Please consider adding our shared calendar to your other calendars so you will always know when the Divine Services are scheduled! Many people ask us for 40-day commemorations at the Divine Liturgy. This practice – remembering someone who is ill or who has died for 40 consecutive days at the Divine Liturgy – is known as “Sorokoust”. We do not serve Liturgy every day at St. Vladimir's. But we did serve 122 Liturgies last year. Thank God we have the opportunity to serve Liturgy often. We provide a sort of modified Sorokoust for our parish family. We can commemorate your friends or loved ones at 40 consecutive Liturgies. This will take more than 40 days, but nonetheless it will indeed be helpful for those who are commemorated. Please arrange these special commemorations with Fr. Gregory or with Albina Seraphimovna at the parish kiosk. There is no “cost” for these commemorations, but it is common to give a donation in thanksgiving for the prayers. 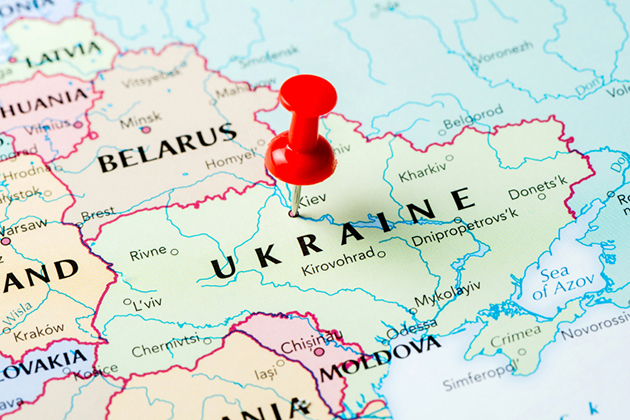 The amount is completely up to those arranging the Sorokoust and, as with other special services at St. Vladimir's, should be based on your financial situation. If God has blessed you with much you should give much. If He has blessed you with little, you should give little. Please see Fr. Gregory with questions about this or any other spiritual issue.